In March, with spring in the air, one has the sense that anything and everything is just around the corner. And if we look at the myriad events going on at our local community colleges, there is no doubt that a mix of anything and everything can be found this spring on the campuses of Berkeley City College, College of Alameda and Oakland’s Laney and Merritt colleges. Just down the street from the Cal campus, Berkeley City College leads the way with spring happenings. High school and college completion is the focus of an Academic Innovations workshop, “Launch Your Freshmen Toward High School and College Completion,” from 7 a.m. to 4 p.m. March 28. The workshop will be held in Room 421 at the 2050 Center St. campus in downtown Berkeley. Founded in 1990, Academic Innovations is known for its nationally acclaimed career choices curriculum and cutting-edge classroom technology. If you have a freshman heading to college, don’t miss this workshop. Also at BCC, students in Stephanie Sanders-Badt’s health education and health professions classes will host a semiannual college health fair from 11:15 a.m. to 1:30 p.m. March 27. Student exhibitors and representatives from public and private health care organizations will answer questions and distribute information. The event is free and open to the public. Berkeley City College will also host the Northern California/Nevada National Student Advertising Competition from 8 a.m. to 5 p.m. April 5. The daylong event will be held in the college’s auditorium and breakout classrooms. Students and others interested in business, marketing, design, public relations, advertising, media, writing, creative, production and photography are welcome to attend. Each year, a corporate sponsor provides student competitors a case study that challenges students’ critical thinking abilities and creativity. Teams research the product and its competition, identify potential problems and develop an integrated communications campaign.Each team pitches its campaign to a panel of judges who are communications industry professionals. Contact Shirley Fogarino at 510-981-2852, for information about Berkeley City College events. Let’s not forget March is Women’s History Month and up in the hills, Merritt College is holding a resource fair aimed at the needs of women with children from 12:30 to 2 p.m. on March 25. There will be representatives to help women with physical and mental health needs. Childcare and employment information will be available. This free event, sponsored by the Alameda County Commission on the Status of Women, is open to everyone. Merritt College is at 12500 Campus Drive in Oakland. The Gallery Management class at Laney College is presenting an African American art exhibit at the campus’s June Steingart Gallery, housed in the Tower Building at 900 Fallon St.This exhibit of fascinating pieces runs through April 18, but don’t miss the opening reception, slated from 3 to 6 p.m. March 20 in the gallery. For more information, call Leslee Stradford at 510-464-3267. Reach Jeffrey Heyman at jheyman@peralta.edu and follow him at Twitter.com/JeffHeyman. See original news post here. 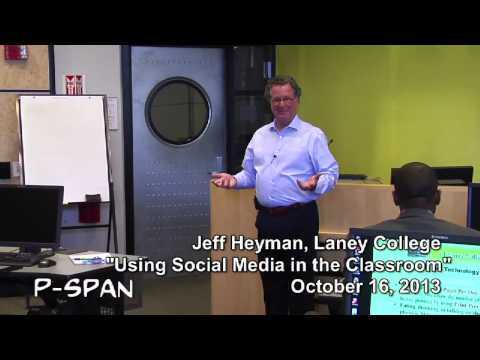 At Laney College, Jeff Heyman taught a class: “Using Social Media in the Classroom,” on October 16, 2013. Peralta News Wants Your Story Ideas! We want your story ideas for the Peralta News feed on our Website and Peralta’s YouTube Channel. These stories can be about anything happening at the Peralta Colleges. You can also request coverage of college events for broadcast on Peralta TV’s P-Span program. Please send your news, story ideas and event coverage requests to our Executive Director for Public Information, Jeff Heyman at jheyman@peralta.edu. Also, as many of you know, we have a monthly column in the Alameda Journal, Berkeley Voice, El Cerrito Journal, the Montclarion and Piedmonter, as well as on the Websites of the Bay Area News Group Papers. If you have brief story ideas for the column – student success, new interesting classes or programs, awards, etc. – please send them to Jeff. Make sure you sign up for Peralta News updates from the homepage of our Website or follow this link: http://bit.ly/16poCnk . You can choose what kind of Peralta News items you wish to get and if you want them emailed to you, texted to your phone or sent via social media. Speaking of social media, please “friend” the Peralta Colleges on Facebook or follow us on Twitter. That’s where you’ll learn the latest news and events at the Peralta Colleges. The second installment of Peralta’s “College Notes” column, written by the Department of Public Information’s Jeff Heyman, appears today in the print editions of the Montclarion, the Alameda Journal and the Piedmonter. The column is also featured on the websites of the Bay Area News Group, including the Oakland Tribune, the Contra Costa Times and the San Jose Mercury News. You can read this month’s column here. Anyone with story ideas, event notices or comments about the column should email Jeff at jheyman@peralta.edu. For some holiday cheer this season, watch Peralta TV’s production of America’s Children’s Holiday Parade, which is being broadcast this year on 160 PBS stations across the country. The Parade, which is held in Oakland, is also broadcast locally on Peralta TV and overseas on the American Forces Network. Here is the link to the parade on Peralta TV’s YouTube channel! Peralta TV is on Channel 28 in Emeryville, Piedmont, Oakland, on Channel 27 in Alameda, Berkeley, and on AT&T U-Verse Channel 99. Each year, Peralta TV produces the Parade for the Oakland Metropolitan Chamber of Commerce. The production generates revenue for the station and helps Peralta TV defer costs. Enjoy Peralta TV’s production of America’s Children’s Holiday Parade and Happy Holidays! The Peralta Community College District Board of Trustees will hold a public meeting to consider five alternatives for redistricting the Trustee boundaries, and will vote on adopting a redistricting alternative at their December 6, 2011 meeting. Four of the proposed alternatives were presented and discussed, and public input was invited at the Board of Trustees’ meeting of May 10, 2011, and at public hearings held at each of the Peralta Colleges during May 2011. A new, fifth alternative that was developed in response to comments on the original four alternatives was presented for public input at the September 27, 2011 Board of Trustees’ meeting. In addition, public comment was received on the redistricting plans during October 2011. 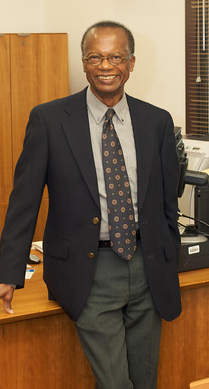 The December 6, 2011, the Board of Trustees’ meeting will be held at 7:00 p.m. in the Boardroom at the Peralta Community College District Offices, 333 East 8th Street, Oakland, California 94606. The public hearing will commence at approximately 7:30 p.m., and can be verified on the Board meeting website prior to the meeting at http://peraltaccd.granicus.com/ViewPublisher.php?view_id=2. Posted meeting times are approximates. Federal and state laws require the Peralta Community College District to adjust its Governing Board boundaries every ten years to balance populations in each of the Trustee districts based upon current U.S. Census Bureau population data. Whichever of the five alternatives is adopted, the redistricting will change the boundaries of the districts and many residents will see changes in their Trustee districts as a result of this requirement. The District has received and welcomes public comment on the redistricting process and potential alternative redistricting options. Interested parties can access the five proposed district maps and their corresponding descriptions at http://web.peralta.edu/trustees/board-committees/redistricting-committee/. 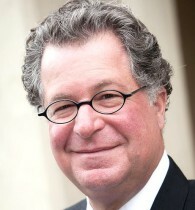 The Trustee-approved alternative will be forwarded to the Alameda County Registrar of Voters for incorporation into the County’s overall accommodation of the decennial redistricting for federal, state, county, municipal, educational and special purpose districts such as, for example, those for Congress, the State Senate and Assembly, city council and school board districts, and the East Bay Municipal Utility District, among others.